There is a Sea Anemone growing out of my Cedar Tree, Help! No, silly, that is not a sea anemone, it’s a pathogen called Gymnosproangium juniperi-virginianae. “A what?” you say. 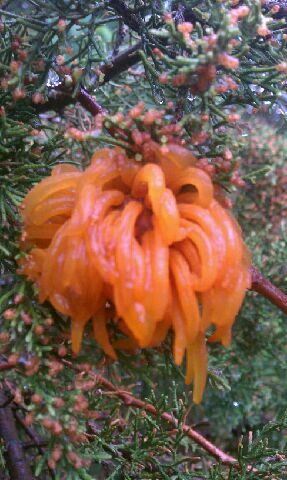 It is cool to look at, but it is evidence of Cedar-Apple Rust. It is the best known and most common of all the gymnosporangium rusts. This is dangerous in areas where apple trees are abundant because it can cause severe reduction in fruit and premature defoliation. 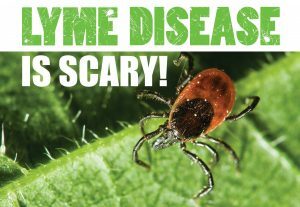 This disease is strictly found in North America, especially the Northeast. 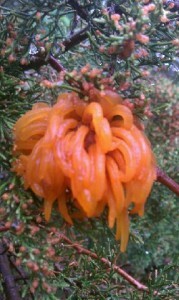 You will find these gelatinous masses on cedar trees in warm wet springs. Junipers, Eastern Red Cedar included, become infected and the rust overwinters there until spring when they produce these horn-like projections. The horns produce basidiospores dispersed by air infecting the apple trees with this fungus just as they are trying to push out new leaves. Sometimes, the signs are not obvious until summer. Often this is treated with a traditional fungicide especially on ornamental crabapples. But, there are some organic sulfur products now available that, if vigilant, can control this on apple trees nicely. Please, call 203-565-8570 or email russ@andrewsarboriculture.com for more information or a free consultation.